From the market reviews one will get the impression that Dreamz Infra India Ltd has done a commendable job in plunging in to the high priced real estate market of Bangalore and offering affordable housing to the middle and lower middle class segment. This is indeed a Herculean task which has supposedly opened doors for the affordable market segment with other players like Concorde Group, Shobha Developers among others joining the fray. 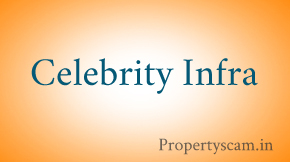 Dreamz Infra claims that its phenomenal success can be attributed to its satisfied customers that its fame has spread by word of mouth and today Dreamz GK builders has more than 5000 customers in its family. With 35 ongoing projects, it can be said that the company is doing really good being one of the leaders and has carved a niche for itself, already. 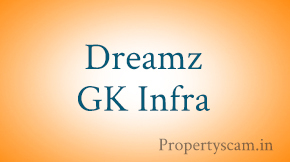 At this juncture what is needed are customer’s reviews and other’s experiences for people to know more about dreamz so that its business processes become more transparent for the prospective customers to know about the service and quality offered by Dreamz GK Infra. They have many projects across Bangalore some of their ongoing projects in primary location Sneh, Eco – 3, Samarpit, Savinaya, Sarvajana, Samip, Sadan, Safal. 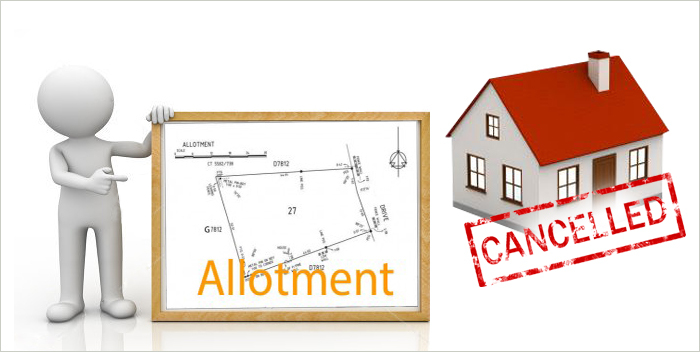 Propertyscam invites the customers to read and write the concerns and opinions faced by consumers. Hi, Dreamz Infra providing good quality of services in real estate market, they offer very low budget flats easily can utilized that offer, Last Sunday I booked a flat in Dreamz Under Project. Guys Now a day Dreamz only fulfill middle class people dream home with all necessary amenities in real estate Market.I am very satisfied with dreamz. Dreamz Infra did lots of projects with all world class amenities in real estate market.They only give such a valuable prices. Thanks to Dreamz. Hi guys,I booked a one flat in Dreamz Sangam at Silk Board.The construction quality and interior design was very good.They are very co-operative in the terms of loan procedures. I am happy with Dreamz. Hi,I am Kiran.I booked a one flat in Dreamz Sneh near Marathalli. Mainly I go for these project is my company is nearer to these project.I went and talk with the some of the executives they cleared all my doubts.The construction is going with a rapid speed.As soon we will get our flat. Hi guys I found good feedback about dreamz Infra in online and their existing customers. then I happily booked a flat in Dreamz Infra, I hope they will fulfill my dream. I was also met their existing customer those who are residing in Dreamz OM, they are very happy about the Dreamz Infra. That’s why I have also booked one flat in Dreamz Infra. Dreamz Infra providing good quality of service with all necessary amenities in real estate Market, I booked a 3BHK flat in Dreamz Project. Hi, I am working from private company, Last week I booked a 2BHK flat in Dreamz SUNISCHIT Project at Hosa road.They offer very less budget, Dreamz is the best. Hi,I am Santhosh.I booked a one flat at Dreamz Infra.I gone through some of the website reviews of the company.When I see that reviews I felt very happy because many of the customers are own their flat and living happily this made me to book the flat in Dreamz Infra company. Hi guys, I had visit their projects which is under construction and completed projects. it was very good quality apartments. Now I’m planning to buy flat in Dreamz Infra but I need some more information about their actual project completion duration and what are the basic amenities provide? please let me know. Dreamz GK given me great quality flat with a great customer support. 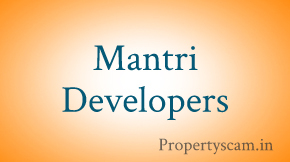 They are the best builder in Bangalore for the great quality homes at reasonable price. Thank you and all the best Dreamz GK for your future projects. Hi guys,I booked a flat in Dreamz Snen at Marathalli.The company is very professional in their work and they giving a good support to the customers.The flat price is suited to my budget.Thank u Dreamz. Hi , I have booked a flat in Dreamz Sidhi project at electronic city. they give very good offer for middle class family. Before 6 month i booked Dreamz sneh project. Today morning i visited Sneh Project. may be with in 4 month they completed the project. Still now I am happy with dreamz and waiting for my flat key. Dreamz Infra builder are did quality of service and making customer impression designed flat and Apartments in real estate market. They really trustworthy company in Bangalore city. I’m living in Dreamz Suvidha, it’s awesome and beatiful flat. I didn’t expected such a beautiful and good quality flat in budget but Dreamz GK made it happen. Thank you Dreamz GK for support and for the flat. Dreamz GK is really excellent builder, only they can construct a such a beautiful and strong apartments at the middle class budget range. That’s the reason they are the best builder for affordable housing. That is Dreamz Infra, they are making possible of common man Dream budget home. They really doing great job. Thank you Dreamz Infra. That is what Dreamz Infra working beyond our expectations. They are service minded people. They never compromise about the quality. That’s why their customers are happy with Dreamz Infra. Hi, I am abhyudaya, I am working private company in hebbal, Last week I visit Dreamz Infra company, regarding flat booking, I saw few projects of Dreamz and they display model flats also, that project having very well planned and designed, I am excited, finally I booked a flat in Dreamz Project. Thanks to Dreamz team. Their projects are built with excellent technology with a new innovative methods. and they are not selling high quality for high price, they are selling flats for the reasonable price. The affordability is the best part of the Dreamz Infra and they are keep continuing the same affordability. Last saturday I visit Dreamz company, regarding flat booking, after I communicate with sales Manager, he explained project details and I excited , finally I discuss with my family and I booked a flat in Dreamz Project. Hi, I searching flat too long in Bangalore. after I came to know Dreamz Infra, I visit that company, sales manager explain all projects detail and amenities .Dreamz infra offer very low price compare to others, I booked a flat in Dreamz SUNISCHIT project at Hosa road.